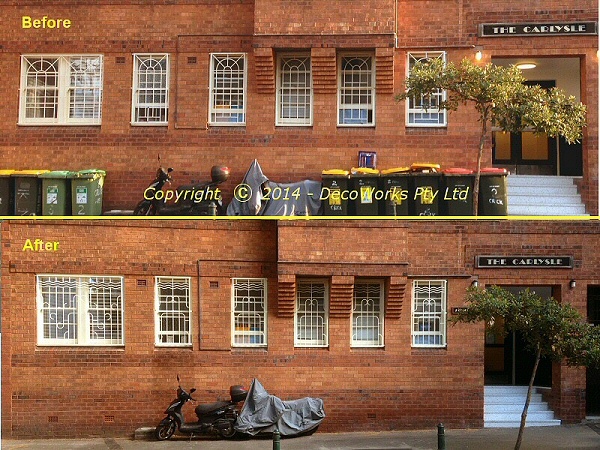 The owners of this Potts Point inter-war apartment block wanted to replace the existing contemporary window security bars with an Art Deco style more sympathetic with the heritage of the building. 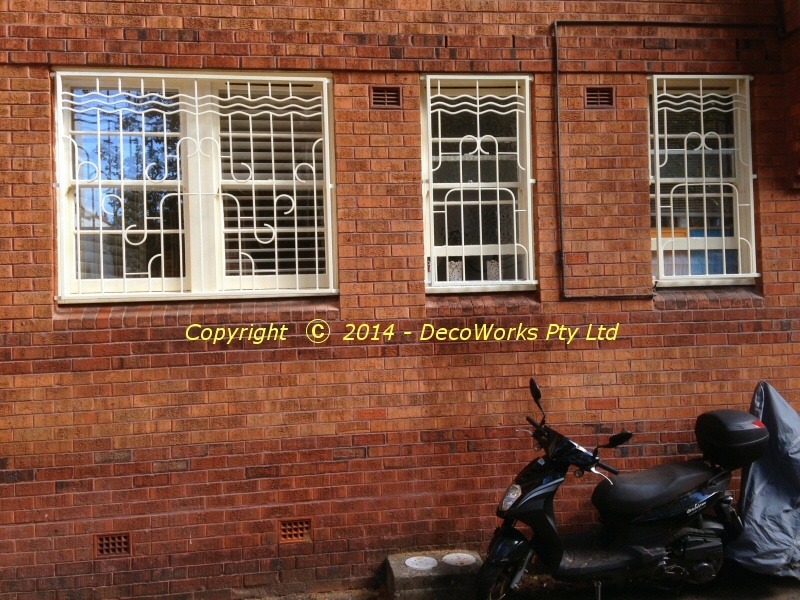 The existing bars, a modern addition, added nothing to the buildings character and were likened to “Play School” windows. A new custom design was developed from an original wrought iron side security door which had survived from when the building was originally built. The most prominent feature was a wave pattern across the top of the door above two opposing scroll features. This motif became the basis of the new design for the window security bars for the building. To keep costs down the original security bar outer frames and anchor points were retained. The old bars were cut out and the new design was fitted inside the old frames. 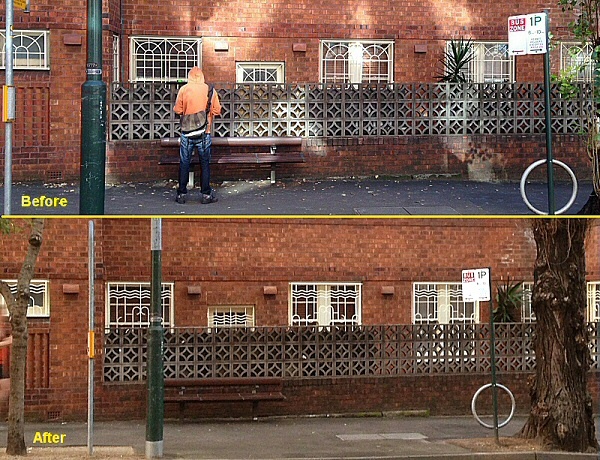 This greatly simplified the subsequent re-installation of the security bars. The original side security door was also restored and this is described in another post. 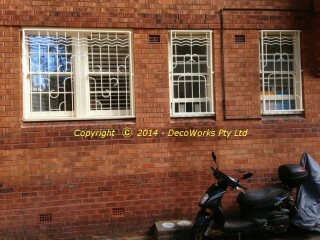 This entry was posted in Art Deco, Projects and tagged security, window. Bookmark the permalink.